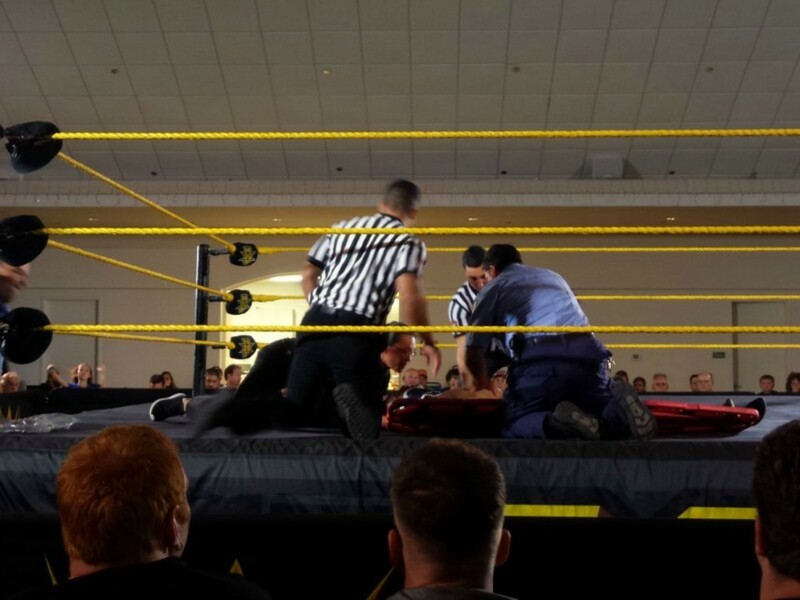 Kenneth Crawford appears to have suffered an injury during his match with Noah at Friday's NXT show in Citrus Springs, Florida. He attempted a springboard maneuver but didn't make it all the way onto the ropes, slipped, and fell hard into the ring. Noah rolled him up and the ref threw the X up pretty quickly afterwards. He was tended to in the ring for a few minutes before being carried out on a stretcher. From what it appeared, his arms and legs were not moving although he was able to talk to those in the ring who were assisting him. A fan in attendance noted on Twitter that he was told by EMTs that Crawford was flown out for medical attention, but that wasn't confirmed. Our JJ Williams was there and noted that Crawford didn't appear to be awake on the way to the back. The Miami Herald had a big story on Crawford, 24, last year, who got into NXT by submitting photos and a resume through their online submission process. We'l have more information as we get it.